To celebrate the launch of "Athena", the largest yacht ever produced by their shipyard, the Dutch Royal Huisman has published a book: "Athena - A classic schooner for modern times". The book sums up the chronology, from the first to the last day, of the construction of "Athena", which is the result of five years of hard work. The photographs were taken by Louie Psihoyos, who had already worked with Royal Huisman on the book "Hypersion", while the famous writer Jack Somer was once again entrusted with the captions; he had previously published a book on the 43 metre "Juliet", in collaboration with the Dutch shipyard. 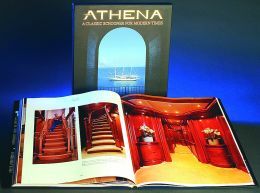 The book, which is a tribute to the 90-metre "Athena", was presented last June during a special ceremony in Monaco and is on sale on the web site www.athenabook.com. Opacmare has recently established a new company, which is specialised in the installation and maintenance of their products. The new company is a further enlargement of the already widespread Opacmare assistance network, which can rely on several qualified dealers all over the world. Ship Assistance has two operational headquarters, located in Rivalta (Turin) and Viareggio (Lucca), and can rely on the help of experienced professionals and state of the art technology; Ship Assistance guarantees a quick response in case of both installation and repair work, as well as the provision of ordinary maintenance services aimed at keeping Opacmare products working efficiently over the years. To meet the needs of their customers, the new company and Opacmare offer a two year warranty on their products that does not take effect on the date of purchase, but only after they are installed on board. Furthermore, upon request and by appointment, the Ship Assistance staff provides assistance across the world, guaranteeing the flawless fitting and functioning of every accessory in the catalogue, even those requiring complex installation. 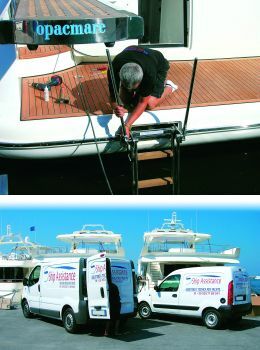 For further information, see the web site www.opacmare.com.